Brennan took a commanding lead early in the race and never looked back to secure Australia’s first gold medal in the women’s single sculls. This is her third Olympic medal, after taking home silver and bronze in the women’s double and single sculls at the 2012 London Olympic Games. Brennan (LLB(Hons) 2010) has most recently worked as Legal Counsel for Basketball ACT after graduating from the Melbourne Law School in 2010. In an interview with MLS News in 2012, Brennan (née Crow) said that achieving a balance between competitive rowing and the law has been difficult, but it ultimately helped her succeed in both fields. “There has definitely been encouragement from both sides to ‘decide’, however I’m a firm believer that one helps the other,” she said. Reflecting on her time at Melbourne Law School, Brennan said her passion for law was fuelled by her lecturers. “I had a wonderful selection of lecturers in my first year who instilled in me a passion for learning, sharing, probing and reasoning,” she said. 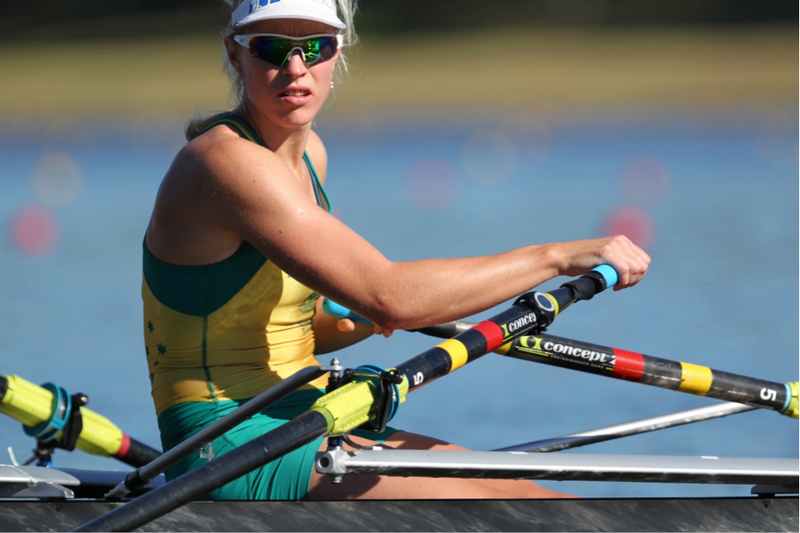 As for life after rowing, Brennan believes her rowing experience will serve her well in the legal profession.